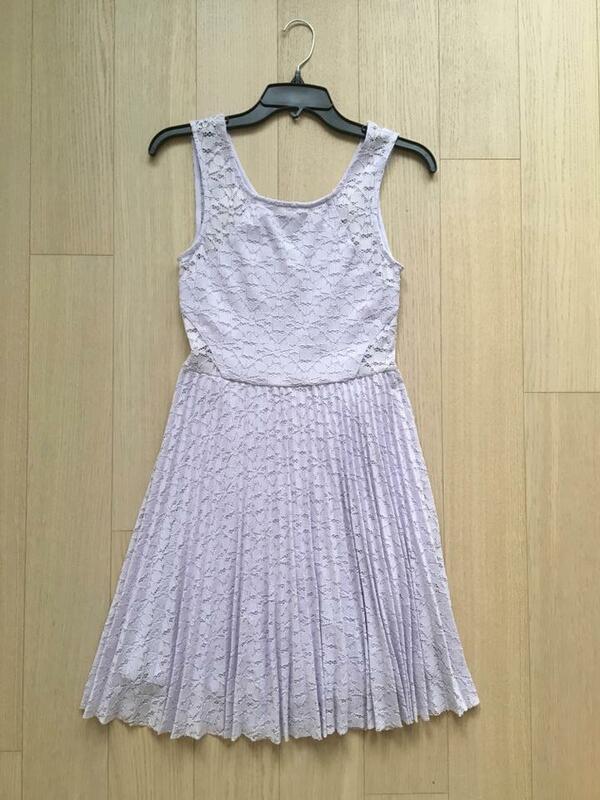 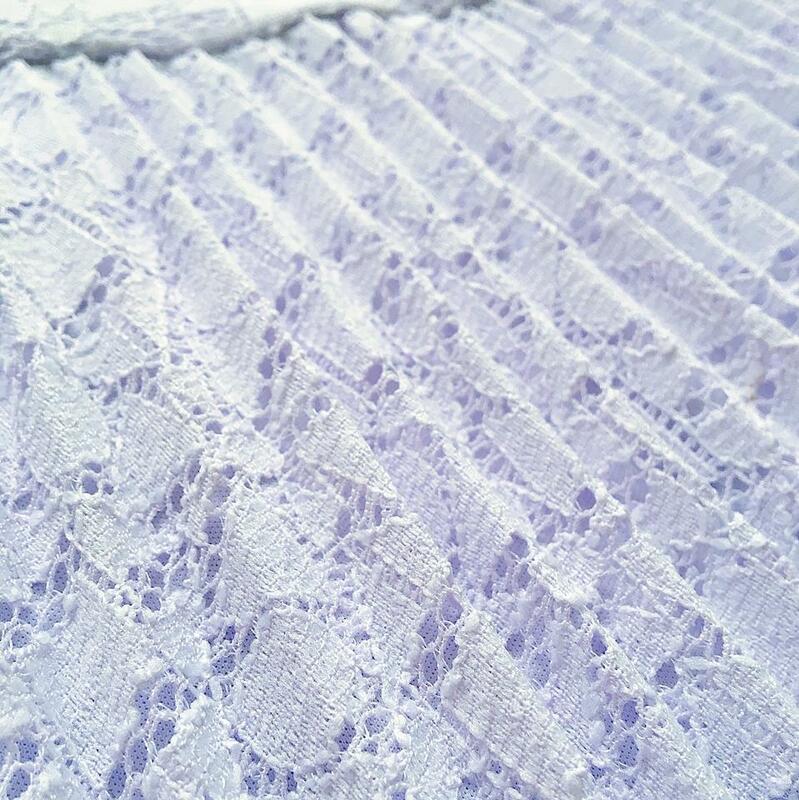 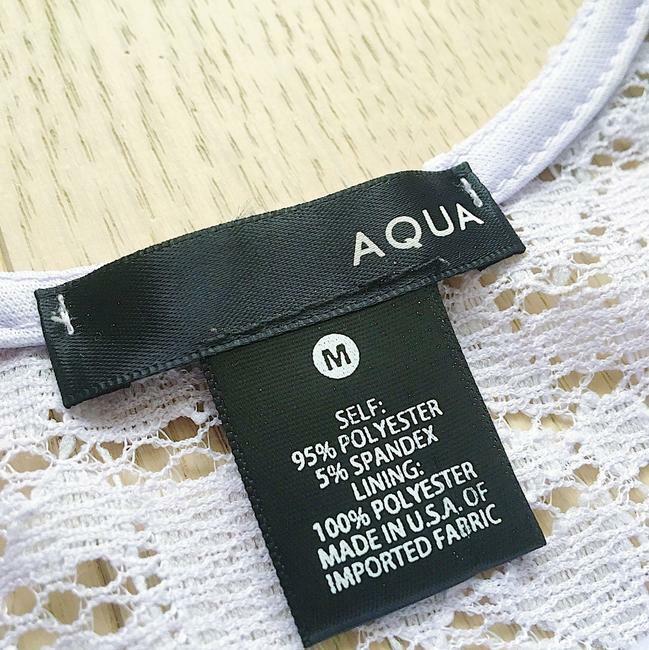 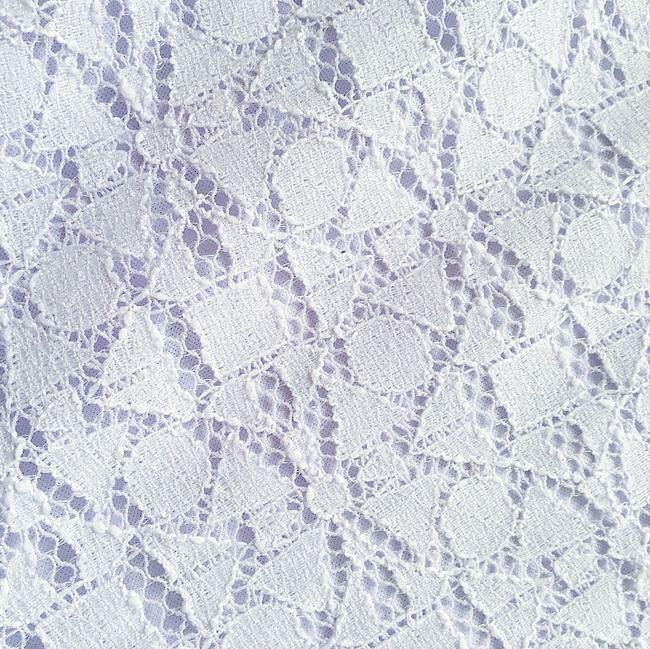 Beautiful AQUA fit and flare dress comes in a delicate lilac colored lace. With its pleaded skirt bottom, this dress is feminine and flirty for spring showers and summer weddings. 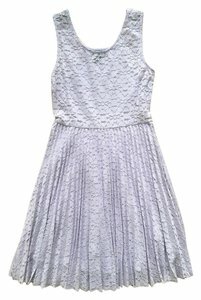 Dress is lined in a stretchy material making it comfortable for all day events.